The appearance of design and technology in the National Curriculum has offered primary teachers opportunities for imaginative and stimulating work which is directly related to the lives of their pupils. Its sheer scope can, however, be daunting for the teacher already overloaded with the other demands of the National Curriculum. 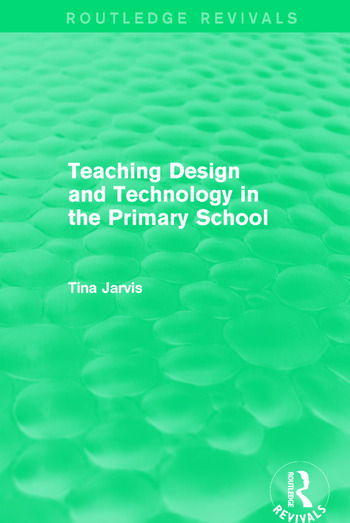 Tina Jarvis provides some much needed guidance on strategies for including design and technology effectively within the whole curriculum, including the development of co-operative group-work and finding effective ways to assess individuals in group situations. The author also looks at how teachers can tackle subject areas which may be unfamiliar to them, such as systems, environments and economic enterprises. 1. Why Teach Technology? 2. Planning to Develop Skills and Concepts 3. Cross-Curricular Links 4. Evaluating and Improving Environments 5. Systems 6. Energy and Machines 7. Structures 8. Examining Economic Enterprise 9. Developing Effective Co-Operative Groups 10. Assessment.